I’ve been meaning to make Jerusalem bagels ever since I went there, and saw the loopy breads dangling from wagons and off pegs in shops. 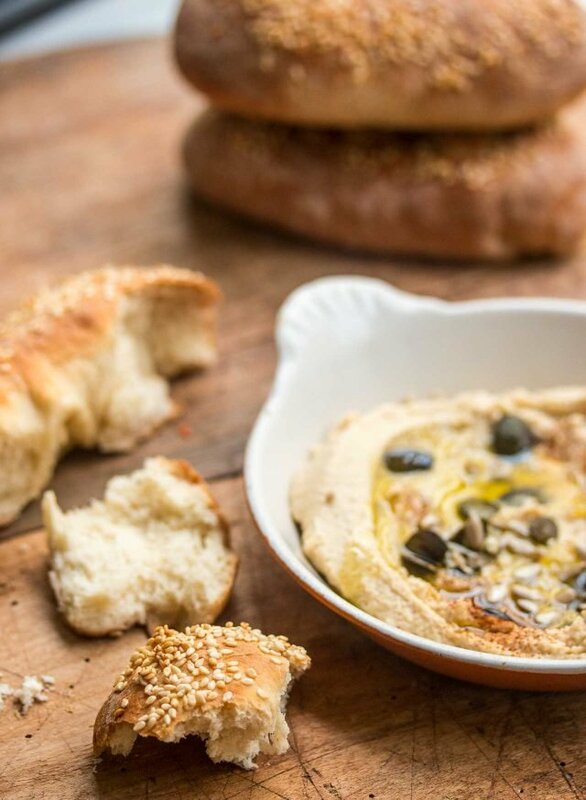 With all the hummus being consumed everywhere, it was easy to understand why so much bread was necessary. It was the perfect foil for scooping the stuff up, that somehow, kept showing up on tables wherever we went. It took me getting a copy of The Palestinian Table, a book I’d been eagerly anticipating reading after I read Reem Kassis’s article, How Conflict Has Eclipsed the Region’s Food. It also made me want to meet her. Reem grew up in Jerusalem and has a deep emotional attachment to the foods of her childhood prepared by her mother, her aunts, and her grandmother. She’s a business consultant and social psychologist by training (and a mother of two, as well), embarked on a book project, one she felt very strongly that she had to write. There is a good profile of her in the New York Times, about her vision to write a cookbook (with no experience whatsoever), and how she overcame her fears and obstacles to write such a highly-acclaimed book. It was definitely one of my favorite books of the year. When we met, I think we were both relieved to finally meet. Partially because I got the day wrong and she showed up a day before I thought we were supposed to meet, which was my fault. (Could someone please come up with some sort of app that takes all those Facebook, Instagram, texts, Twitter, and other social media messages, and puts them into one daily email? It’s so hard to keep track of them all…) After about fourteen messages apologizing for screwing up, I managed to arrive on time, and on the right day, and she was happy to find that she was just as lovely in person as she comes across in the pages of The Palestinian Table. She must have felt bad for me, because I was a wreck, still apologizing as we drank tea and ate pastries at the bakery we’d met at, because she said that she would love to cook for me someday. That would be my dream, and I would definitely write that date with a Sharpie on my arm so I wouldn’t forget it. Until then, I’ve got her book, and Jerusalem bagels aplenty, since I made them a couple of times. My first attempt at rolling the dough into ropes, and tying them shut, showed that I’m not so good at sealing them closed (below). Maybe I’m just a New York City bagel-boy at heart, and my bagels were doing their best to move back toward that shape. The second batch I made come out great. I didn’t roll them into ropes, but make circles and stretched those into ovals. A Lebanese friend happened to come by when I was pulling a batch out of the oven and said they looked like ka’ak, a bread that’s sold on the streets in Lebanon. I was flattered. Unlike chewy, New York bagels, these are more bready and airy, so they’re better for scooping up dips; good options are hummus, hummus with spiced lamb, baba ganoush, eggplant caviar, white bean dip, tarama, or a bowl of good olive oil and some za’atar, although we also enjoyed them for breakfast, toasted and buttered as well. I want to see your bagels if you give them a go. If so, tag us on Instagram @davidlebovitz and @reemkassis – we’d love to check them out! 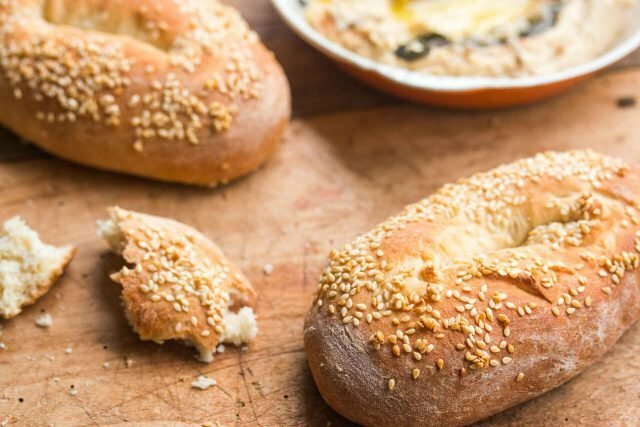 Adapted from The Palestinian Table by Reem KassisThese are smaller than the elongated bagels sold on the streets of Jerusalem but are easier to bake in a home oven.Note that Reem's recipes uses fast-acting yeast, which is different than instant yeast. It's ground finer so dissolves faster and is meant to be mixed with other ingredients without the need to be proofed first. For using other types of yeast, you can find more information on that at this yeast conversion table. There's also a good discussion about various types of yeast here.I ended up using half the original amount of sesame seeds called for, but if you need more, simply make another batch of the sesame seed mixture. If you can't find pomegranate molasses, you can brush the bagels with an egg wash; stir together 1 egg yolk with 1 -2 teaspoons of milk, and brush that on the bagels before dredging them in the sesame seeds. 2. 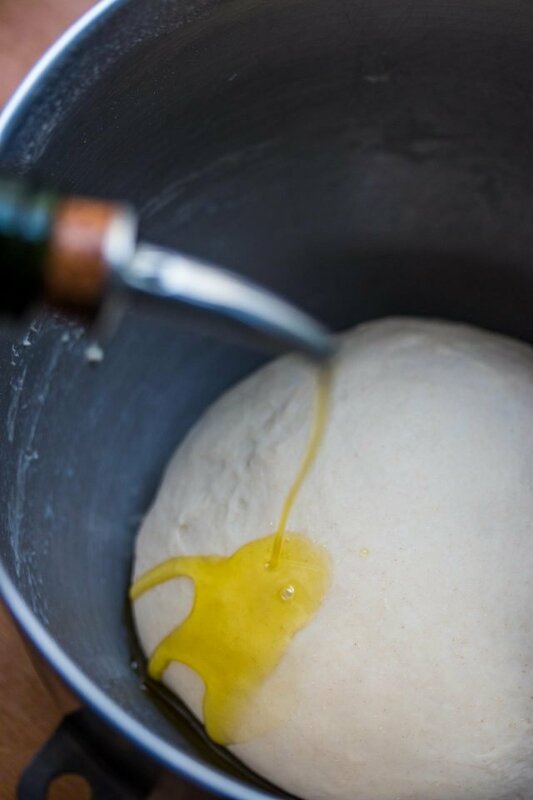 Rub a little olive oil over the top of the dough, cover the bowl with a tea towel, and let rise until doubled, about 1 hour. 3. Make the sesame coating by mixing the sesame seeds, pomagranate molasses, and hot water in a shallow baking dish that's not too large. (A 1 1/2qt/1,5l oval gratin dish works perfectly.) 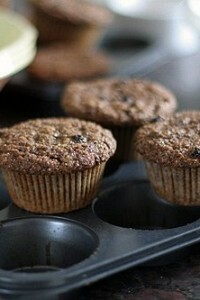 The seeds should be damp and sticky, but not clumpy. Add a bit more water, if necessary, to get them to the right consistency. 4. When the dough has risen after 1 hour, punch it down and turn it out onto a lightly floured countertop. 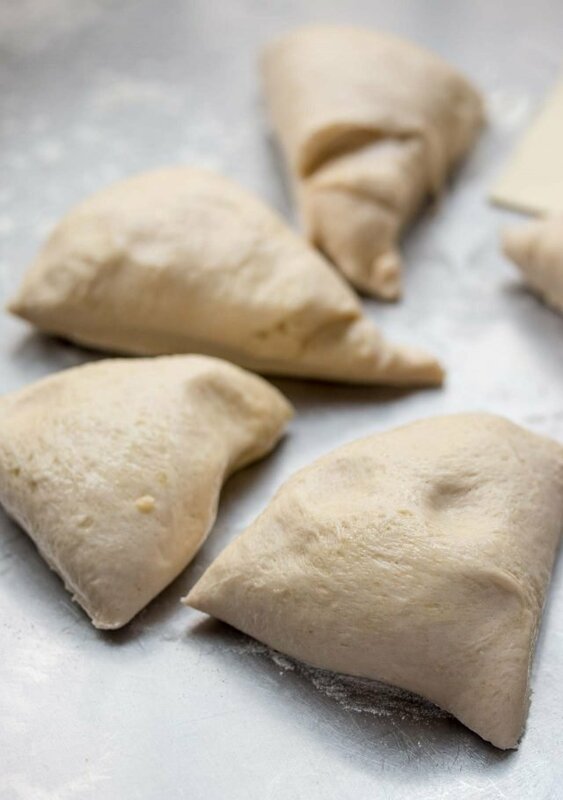 Divide the dough into 6 equal pieces. 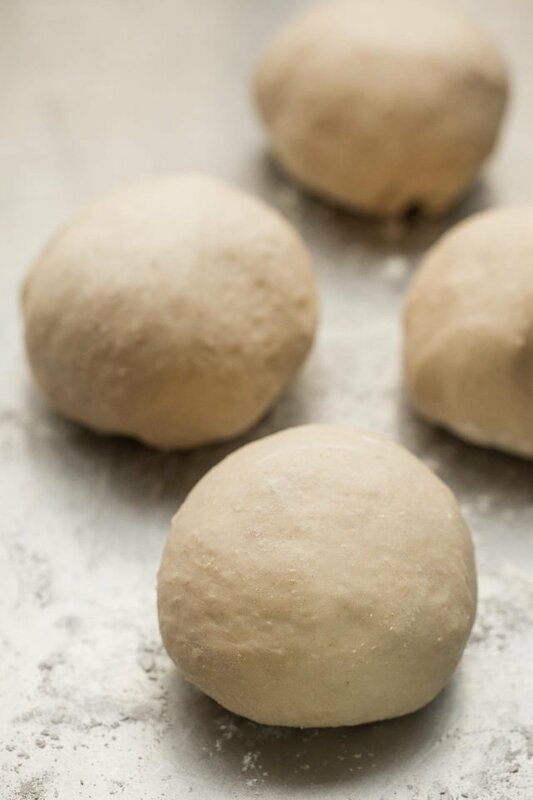 Grab one piece of dough in your hands and shape it gently into a ball on the countertop, without overworking it. 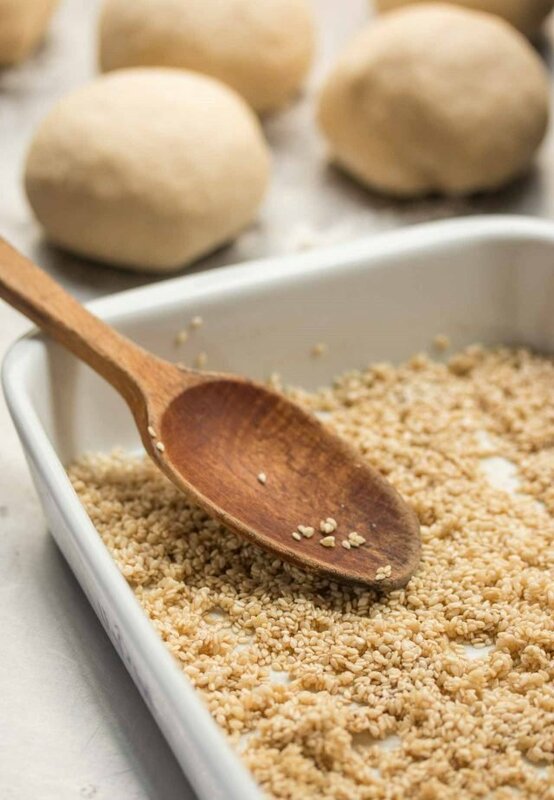 Dig your thumbs into the center to create a hole and stretch the dough outward to create an oval ring about 6 inches (15cm) long, using your fingers to pull and shake the dough so the hole is as large as you can make it. 5. 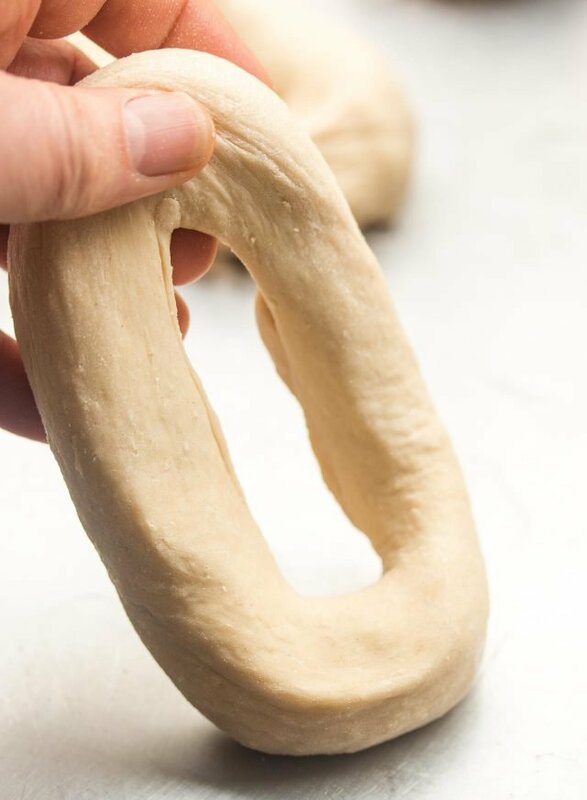 Place it on the counter and continue forming the rest of the dough into bagels the same way. 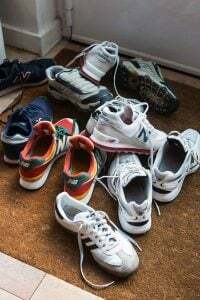 Let them rest for 15 minutes. 6. Preheat the oven to 425ºF (220ºC) and line two baking sheets with parchment paper or silicone baking mats. 7. 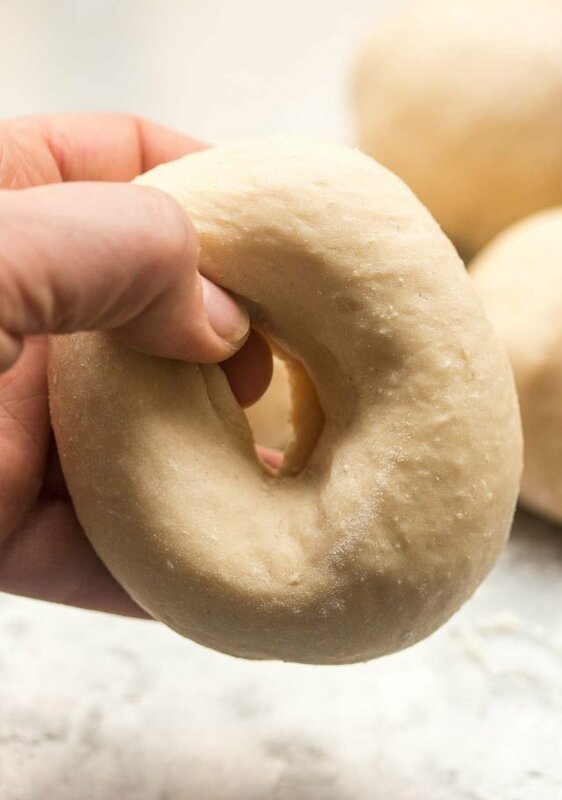 Grab each oval ring of dough and press the top of each into the sesame mixture, then give the dough another tug and pull, coaxing the hole in the center even larger. Place each sesame seed-dipped oval on the baking sheet, seed side up, and let rest 10 more minutes. 8. Bake the bagels in the oven, rotating the baking sheets during baking so they cook evenly, until the bagels are deep golden brown, about 15 to 18 minutes. Remove from oven and let cool at bit before eating. Serving: Serve the bagels warm or at room temperature, along with a spread or dip. Storage: The bagels are best eaten the day they are made. They'll keep for a few days at room temperature, but should be toasted or warmed in the oven before eating. They can also be frozen for up to two months. 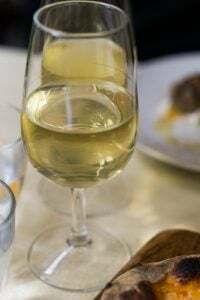 …Reem’s recipes uses fast-acting yeast, which is different than fast-acting yeast. Looks delicious! And bagels are unknown in France profonde, so the only option is DIY. 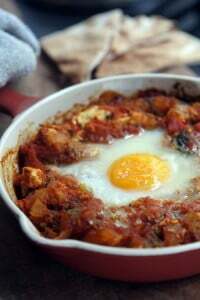 Can’t wait to try this out…..your shakshuka breads are one of our favorite meals now. We used to call the bagels that were sold on the streets in Jerusalem “bagelach” They were warm, slightly chewy and woonnnderful. The perfect thing to nosh on and to share with a cranky toddler. Will be gathering my nerve to try your recipe. Love your blog! 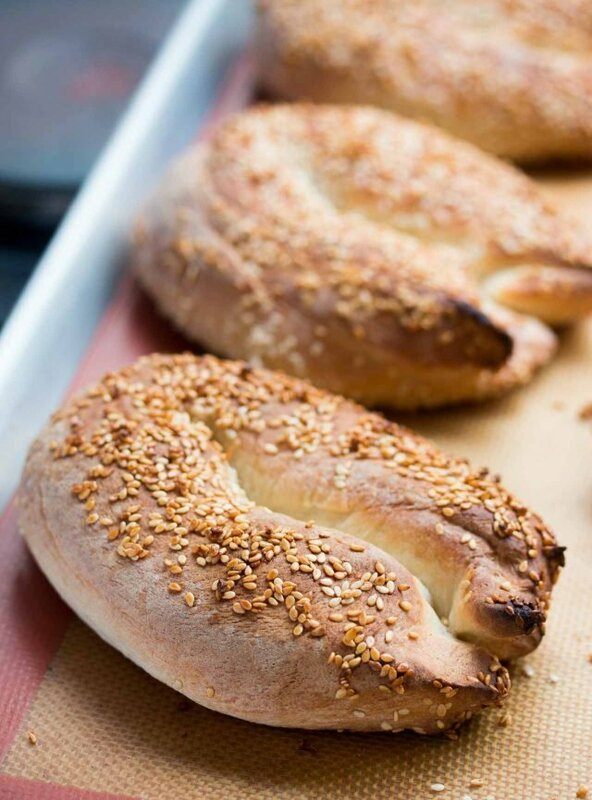 In Turkey they are called Simit, and other Mediterranean countries have these ring-shaped sesame breads, too. But why call them bagels? Have to agree with you Karin – these are simit and are not “bagels”. Think there should at least be a nod to this – for fairness. I also looked at this recipe and said this is Simit — the pomegranate molasses gives it away. But when I Google “Jerusalem bagels” there are a lot of results. I wonder how those names are related. Ok, maybe I’m being dense, but where does the baking powder go? It goes in on Step 1 with the flour, etc. Yay! No boiling! 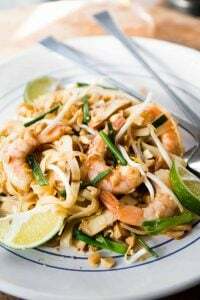 I’ll be making these today! I’m going to give these a try. I love baking and cooking but yeast and I have had a love/hate relationship. I’ve been facing my fear of yeast and just doing it! Thanks for this blog entry. It’s spurring me on!!! BTW, your blog is one of 2 that I have followed consistently from the beginning. Keep it up! Loved reading ‘L’Appart’ ! Hope you’ve ‘detoxed’ from the experience. Sue & Marlene: It goes in with the other ingredients in step #1. Karin: I’m not sure of the nomenclature but most say bagels originated in Poland, and they spread through different parts of Europe, the Middle East, and North America (and elsewhere). There’s an interesting article about their history here: The Secret History of Bagels. I think this is the year of the bagel for me. First my favorite bagel shop reopened after almost 6 months closed due to fire and nitpicky city permit approvals. Last week, I signed up for a bagel and pretzel workshop at the San Francisco Baking Institute (soo excited). 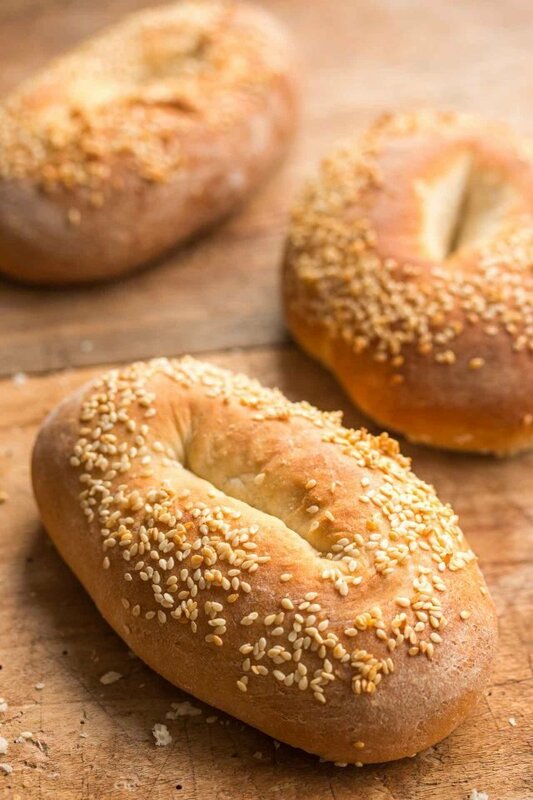 Now, you’ve got Jerusalem bagels which I’ve never heard of but am so looking forward to making this weekend. These were delicious! Half a batch made 4 very generous sized bagels (think Panera bagel size). I toasted them and filled them with salmon, cream cheese, avocados, capers and red onion. I thought that bagels had to be boiled before baking! Aren’t these just bagel shaped rolls? So good and so easy! 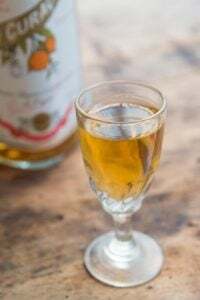 Really needed this recipe desperately. No good bagels in Seattle. The tips from your experience are very helpful. Please, David. I’m not going to make them. So where do you advise me to buy them in Paris?? There are some bakeries (Florence Kahn and Finkelsztajn) on the rue de Rosiers that sell traditional Jewish and Eastern European breads. I don’t think they make Jerusalem bagels but they do have similar (but round) kinds of bagels. 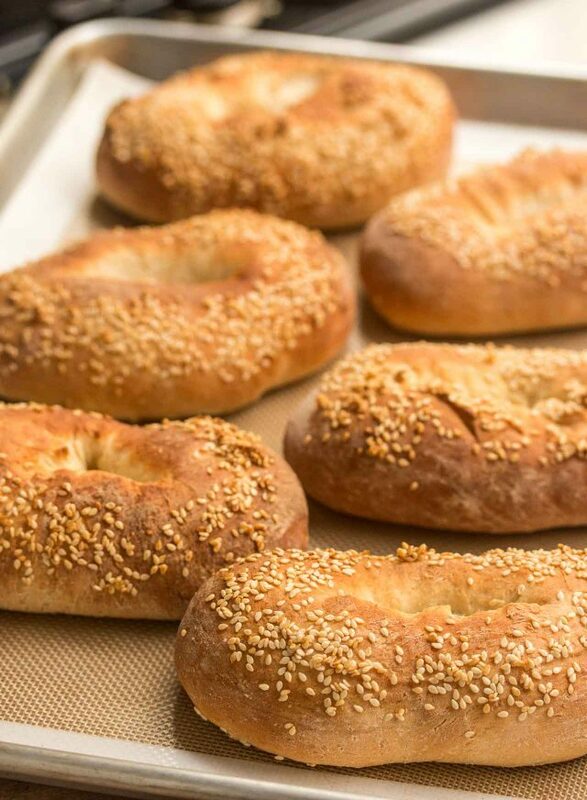 For New York-style bagels, check out Bob’s Bakeshop. Delicious as your look, I don’t think you can lure me away from chewy-style bagels, but thank you for mentioning some of the other wonderful breads of the area! My mother just brought me back some heavenly-scented cumin seeds from Iran, and I now realise I have to use them in a bread. Check the spelling of her book title–Palestinian, not -ean. 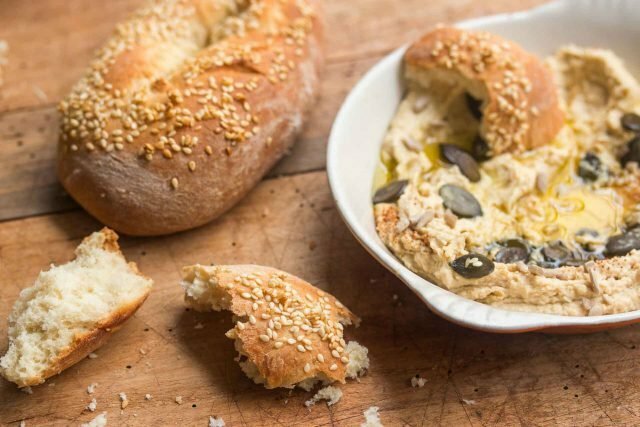 The bagelech look pretty good–we used to get za’atar mix to pour into one hand and dip the torn end of the bagel into it. You can also make them with a basic flour-water-yeast-salt pizza-type dough, they’ll just be a bit chewier. Re: NY vs. Jerusalem–The real difference between proper NY bagels of yore and the weak commercial ones you get these days is the dough percentage and the fact that the bagelmaker’s union disbanded. Real bagel dough, per Stan Ginsberg of “Inside the Jewish Bakery,” is a very tough heavy high-gluten 50% dough. 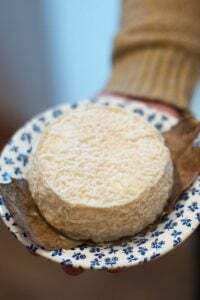 I tried it and it takes a lot of muscle or an industrial-strength mixer and a lot of willpower to knead, rest overnight in the fridge, and pull ropes of it the next day. The union members could whip out 1400 bagels an hour back in the 1960s. My “Hadassah hang”–upper arm flab–was crying over only a dozen worth of dough. But the result, boiled and baked, was the real crackle-crusted deal, tough and chewy and even spoilage-resistant (I took one on a trip and it stayed good for a week in my bag). No major company is going to hire people with the strength and speed to do thousands-plus per day and go through all the steps for large-scale operation, though, and the extra flour makes it more expensive. Baking powder is levure chimique, usually sold in little packets. 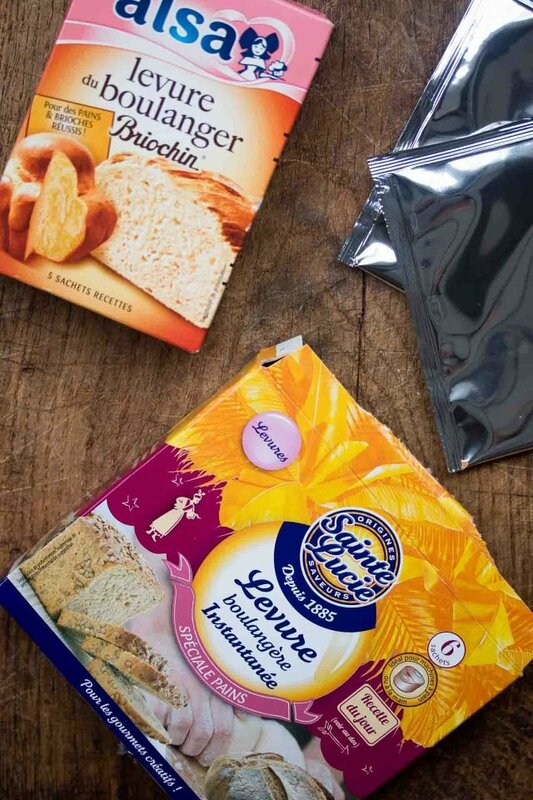 Levure boulangère is yeast – like in the U.S. Yeast in France is available in “regular” and instantanée. Not sure if there is a specific name for “regular” yeast but the photo of the Alsa one is normal yeast, although I used the instantanée. 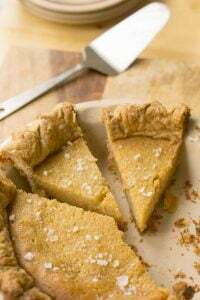 I did a post about American Baking Ingredients and how they translate to French, that might be helpful, too. Happy baking! 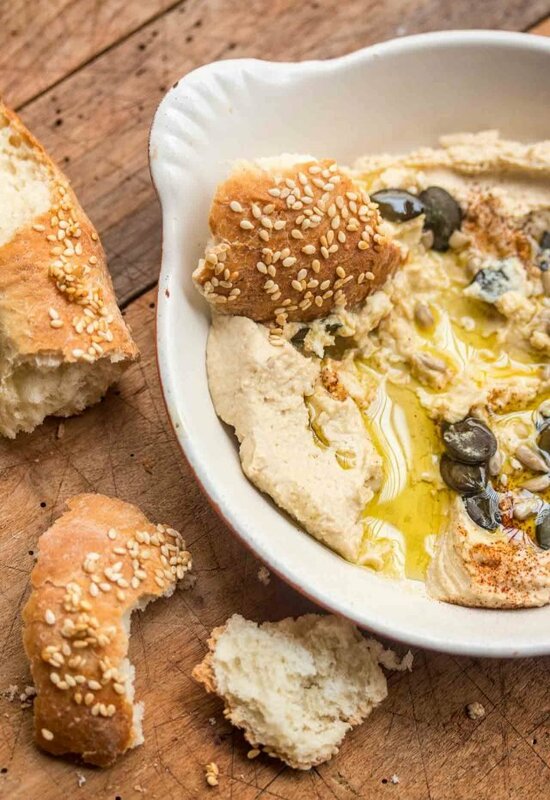 Is that pumpkin and sesame seeds on top the hummus or olives? It all looks delicious…. I’m puzzled about why a bread recipe would need any baking powder when it has yeast. Does the baking powder add any flavor or texture or anything? Thank you for your wonderful blog. It is a great source of inspiration for me. I’m confused about what type of yeast to use for this recipe. Yet in the recipe you call for instant yeast. Which one should I use? Hi David! Am a great fan of your blog and you too! Plan to make bagels this weekend – will you kindly clarify that the recipe calls for 1 Tablespoon of yeast? Have not made any type of bread that calls for that amount of yeast. Thank you for this recipe. Been wanting to try making bagels but put off by the boiling requirement. I made the bagels, and I plan to make them again today. They went really fast for a yeast bread. 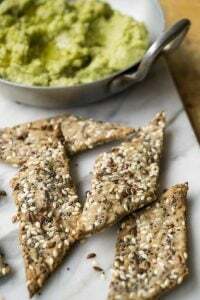 I loved the flavor of the pomegranate molasses combined with the sesame seed topping. 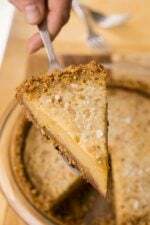 I think I will try mixing the molasses with poppy seed for the topping today. Thank you for sharing the recipe for this wonderful bread. I made these yesterday. Am amazed as how easy it was to work with the dough and how wonderful the texture of these bagels were. Yep, they’re best the day that they are made but still quite good the next day. I just finished one at my desk. Total keeper!